This competition provided a challenge to design a space where two different and incompatible types of park – park for the citizen and church for catholic martyr memorial – are combined. This challenge has provided a start point to produce a new type of space. 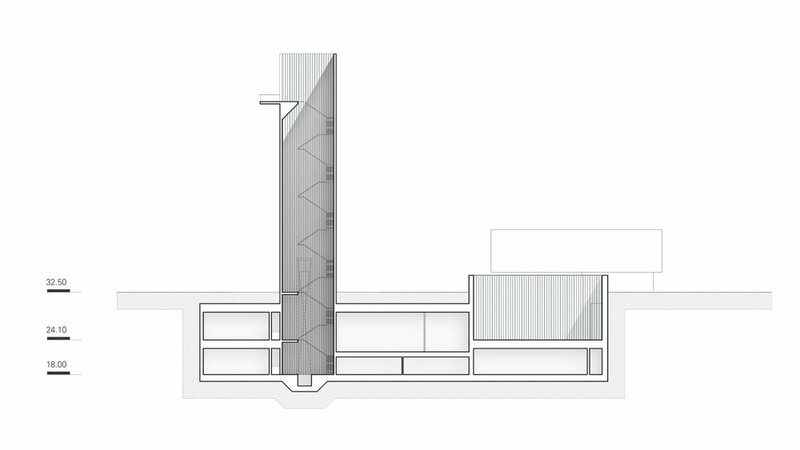 We started with vertically separating this space by placing the area for the living (Citizen park) on the upper-ground and for the dead (Chapel) in the underground. Citizens can take a walk on the ground-level park. 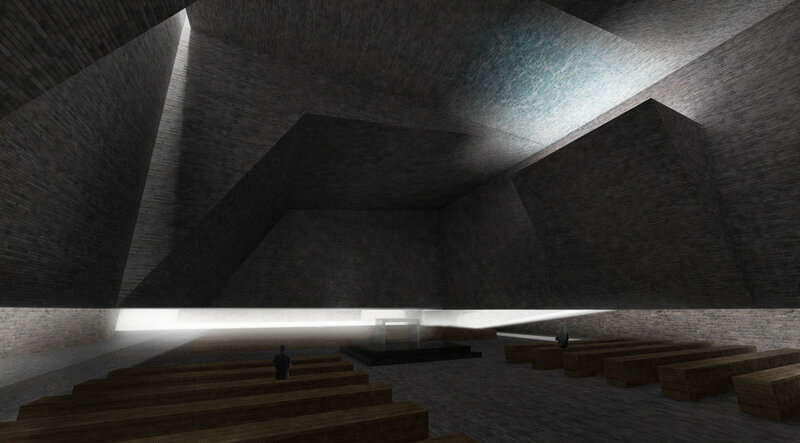 Also, people can have their meditation time or appease the spirits by visiting the underground area for martyr. Underground area is divided into two large groups. One opens up to the sky and the other opens down to the underground. The former group of people are able to meditate by looking up to the sky. The latter group are able to pray for the martyr in the underground chapel. 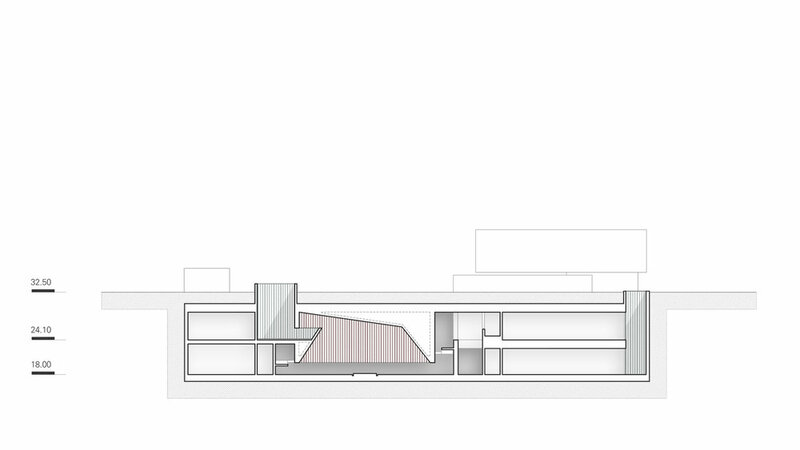 The space is divided into a space for freedom of belief and a chapel by the amount of light. Visitors are able to naturally recognize that the spaces have different purposes. This type of arrangement of space represent the coexistence of the living and the dead.